And I heard them for a long time. I was hitchhiking across rural roads in Missouri and hadn’t seen much beyond abject poverty for what felt like most of my life. The night before, I sat with my back against a tree in front of a church and watched the sun set — magnificent reds, oranges, purples and blues blended across the sky like chalk, from horizon to horizon. That was the cool of the evening. In the stark, sun bleached heat of the day it was just miserable. Little shade and fewer businesses. And then the fluttering sound — like flags or canvas sails. I walked alone slowly, steadily, my arm outstretched to the intermittent traffic. The road stretched into nowhere, cutting through empty fields. I looked in every direction for the source of the crazy flutter. Fluttering. But no flagpoles and certainly no sailboats. Again I stopped and listened. Emptiness all around. Several people talking, their words clear across the open expanse and amid the fluttering. That’s when I looked up. 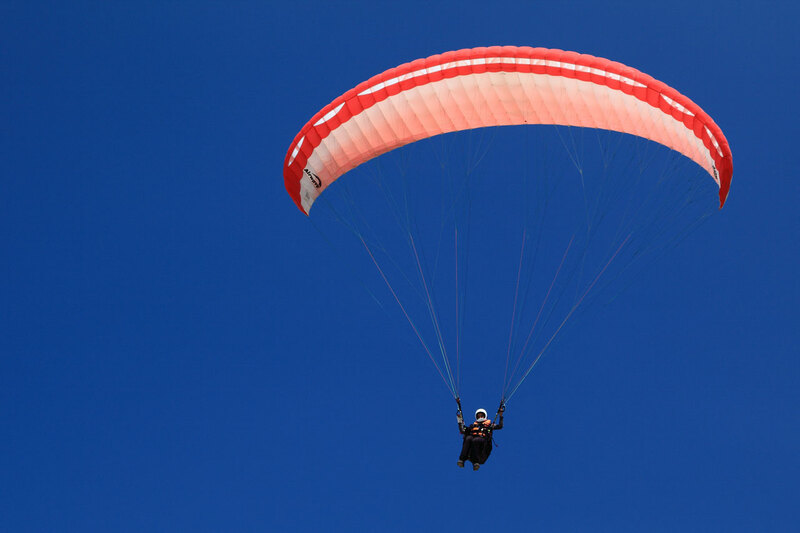 Layers of parachutes filled the clear, blue sky. Colorful canopies bursting open, so high that I couldn’t see the people wearing them. Little puffs of fluttering canvas, like tiny clouds of smoke. People hundreds of yards in the sky talking like they were sitting on a bench. Then I saw the plane, lifting off from the small airfield. Minutes later, a stream of dots falling from the plane. God works the same way. In your wildernesses day, alone or among strangers, God is there. Even before you recognize it, God is already there. You can literally look up and see the wonders of God written across the sky. Leaning against that tree in Missouri, watching the wide, wide sky, I had no idea who God was. The boy who gave me a ride, who was not much older than myself, had gone into the church. I suppose he invited me in, but I couldn’t see God working. Not even when I watched God’s magnificence painted across the sky. Like admiring music with no idea who plays it, I could see the effects, but not the cause. God vibrates in the softest notes. 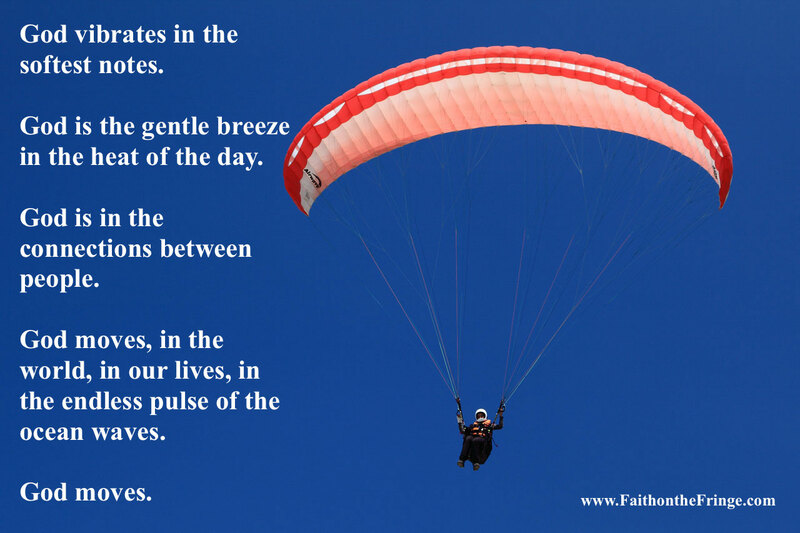 God is the gentle breeze in the heat of the day. God is in the connections between people. God moves, in the world, in our lives, in the endless pulse of the ocean waves. This entry was posted in Faith, Uncategorized and tagged God, hitchhiking, Missouri. Bookmark the permalink.